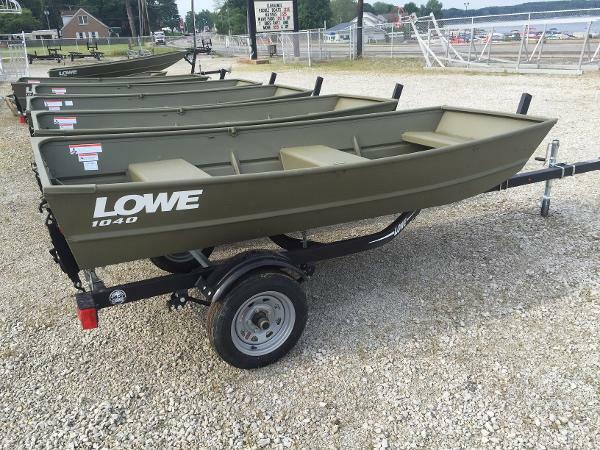 2017 Lowe Jon L1040 Theres a reason Lowe Jons have been serving anglers, hunters and commercial clients since 1972: Theyre built to withstand years of heavy use, yet theyre extremely easy to own and easy to operate. Whatever your time on the water calls for, the all-aluminum 10 Little Jon 1040 is up to the task. Please note: This boat model may or may not be in-stock. A Nationally Advertised Price, if listed, may change without notice or include accessories not fully described herein. Please contact your local, authorized dealer for exact details on model availability and package pricing. 2016 Lowe Jon L1040 There’s a reason Lowe Jons have been serving anglers, hunters and commercial clients since 1972: They’re built to withstand years of heavy use, yet they’re extremely easy to own and easy to operate. 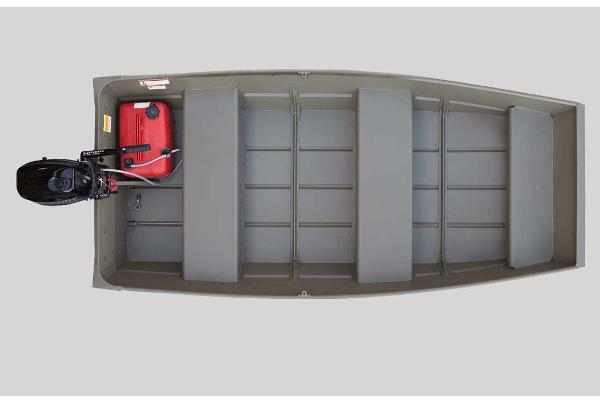 Whatever your time on the water calls for, the all-aluminum 10’ Little Jon 1040 is up to the task. No trailer included in sale price. Karavan Trailer: $655 Tax, freight, prep, documentation, dealer option and trailer not included in sale price. Dealer not responsible for error. 2016 Lowe Jon L1040 There’s a reason Lowe Jons have been serving anglers, hunters and commercial clients since 1972: They’re built to withstand years of heavy use, yet they’re extremely easy to own and easy to operate. Whatever your time on the water calls for, the all-aluminum 10’ Little Jon 1040 is up to the task. Please note: This boat model may or may not be in-stock. A Nationally Advertised Price, if listed, may change without notice or include accessories not fully described herein. Please contact your local, authorized dealer for exact details on model availability and package pricing.